While I am not someone who believes in New Year’s resolutions, I do think January is an excellent time to reassess life goals. This is especially true of health and weight-loss goals following the season of holiday overindulgence. The way in which you formulate those health goals, however, can make the difference between success and failure. Goals that are vague, unrealistic, or overly ambitious can lead to frustration, lack of motivation, and failure. On the other hand, goals that are realistic, measureable, and well thought out can help you remain focused and motivated, and ultimately lead to success. There should be specific actions to take to reach your goal. For example, how many pounds do you want to lose? Your goal should be measureable so you know if you are on track. If you do not make your goal measureable, you won’t know when you have reached it. Examples of how to measure include pounds lost, inches lost, how clothing fits, cholesterol levels and the ability to walk a particular distance. 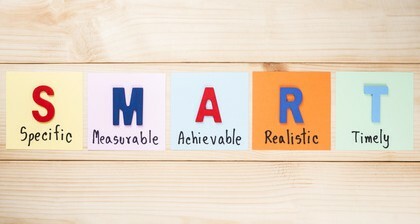 Is your goal achievable and realistic? Do not set yourself up for failure with a goal that is too ambitious. An achievable goal is one that you have enough time and resources to achieve. Your goal should be practical given your resources and time. You should have a specific time frame in which to achieve your goal. Setting a time limit creates a fixed timetable to keep you on track. If your time period is over 6 months, set an interim goal with a 2-3 month timeline. 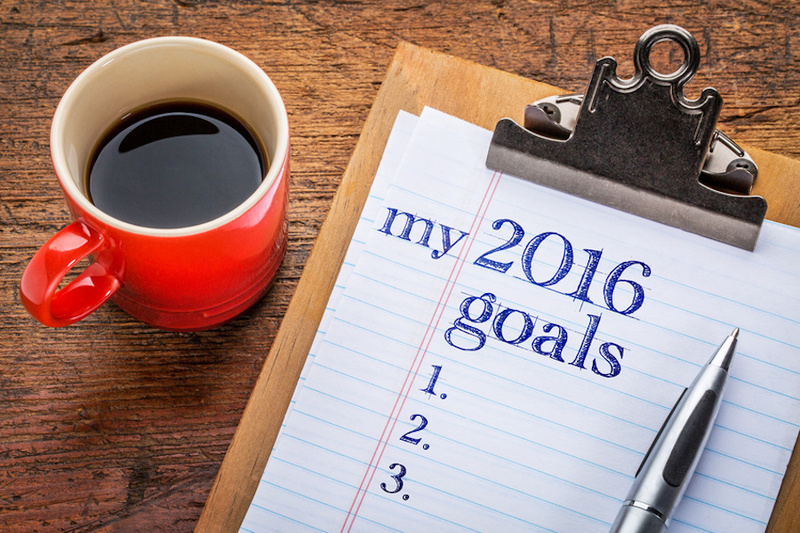 Write your goals down and post them in places where you will see them throughout the day (mirror, fridge door, work desk). 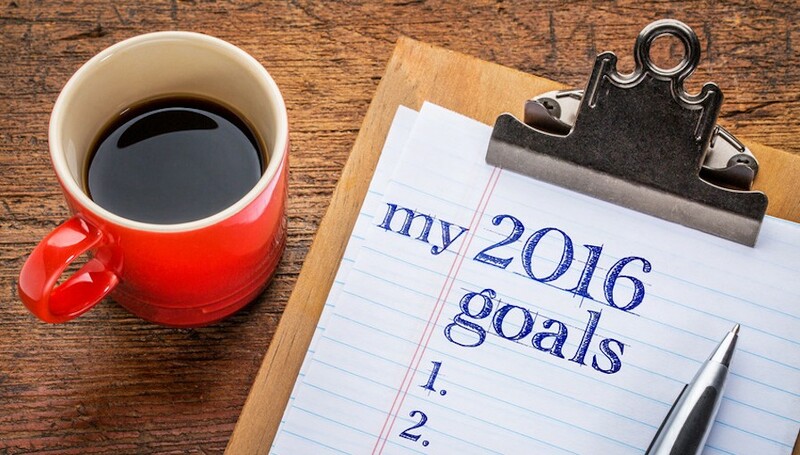 Sharing your goals with others will help keep you accountable to someone other than yourself. It will also create a support group to cheer you on as you try to reach your goals. Try to anticipate obstacles that might get in the way of you achieving your goal, and prepare solutions for them. Example: I eat unhealthy snacks between meals. Solution: Buy and prepare healthy snacks to have on hand. If your overall goal is big or only achievable over a long period of time, you might benefit from breaking it up into smaller, short-term goals. By making your goals small and attainable, you can see victories along the way. This will help you maintain excitement and motivation towards your overall goal. Solution: Break it down into monthly goals. For the first three months, “I will lose 8 pounds a month”. For the last three months, “I will lose 5 pounds a month”. 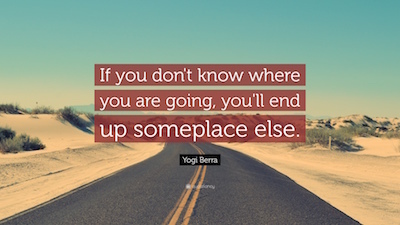 As you work towards your goals, make sure you reassess and adjust them if necessary. If you find your goal is overwhelming, make it more achievable. If you find your goal is too easy to reach, set yourself some bigger challenges. Be willing to make changes as needed to keep yourself motivated and on track. Remember that setbacks are a natural part of behavior change. Try not to have an “all or nothing” attitude. Just because you slip up, it does not mean that you should give up. Just pick yourself up and get back to it. Making sustainable lifestyle changes takes time and lots of mistakes. Strive for progress, not perfection. 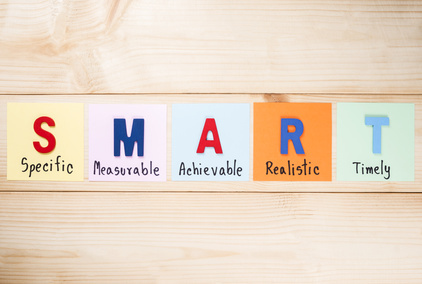 To get you started, here are some examples of how to turn a vague goal into a SMART goal.